Clinova, the makers of O.R.S., sign supply agreement with Tottenham Hotspur. Clinova, the UK based global consumer healthcare company are relishing their on-going partnership with the London-based Rugby Club. In the first season Saracens endorsed Clinova’s flagship product O.R.S, they not only retained their status as domestic champions but also lifted the European Champions Cup. A landmark achievement made only sweeter by the fact that their international campaign was faultless, making them the first team to win a European cup without losing a game. Through this strategic partnership, Clinova supplied the team’s medical staff with the innovative product O.R.S. 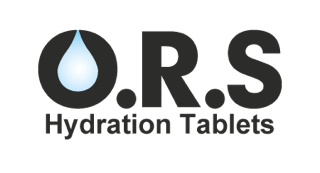 The effervescent hydration tablets are a scientifically balanced formula of glucose; electrolytes and minerals, which allow for optimal hydration when added to water. Clinova is a global consumer healthcare company that develops innovative, cost-effective and efficacious products. The company, based in the UK, has a specific strategy for penetrating the fast-growing Middle East, Asia-Pacific, South America and African Markets. Within its diverse product portfolio, Clinova has four brands: O.R.S., Magastic, Repelsect and WAYK.